According to the Census Bureau, the senior population segment, 65 or older, will increase by 75% over the next 20 years. AAA is calling this the “silver tsunami” and has declared this week, Older Driver Awareness Week! At DefensiveDriving.com, we offer Mature Driver Improvement courses which are state approved in Tennessee, Florida, Texas, New Jersey and Washington! 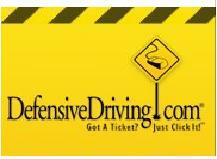 Simply go to our site here or at www.defensivedriving.com, select your state and get started. The Mature Driving courses provide insight on how aging impacts ones driving skills and DefensiveDriving.com provides several useful online driver safety videos which provide defensive driving strategies for drivers of all ages. In addition to providing quality instruction and useful information, in most states our course will qualify the more mature driver for discounts on their auto insurance, some by up to 15% off of the auto insurance premium. Start reducing your risk and save on your insurance today!